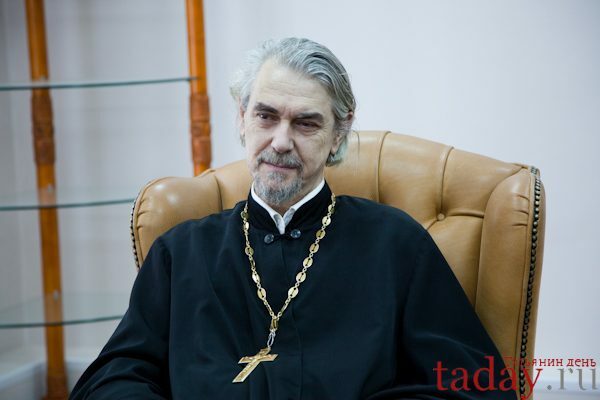 Moscow, August 4, Interfax - Archpriest Vladimir Vigilyansky, senior priest of the St. Tatiana Church at Moscow State University, and former head of the patriarch's press service, said he is okay about the idea of the appearance of deaconesses. “I am a representative of the minority that finds deaconess service normal and feels okay about that,” the priest said in an interview with Rossiyskaya Gazeta on Thursday, saying the Holy Martyr Tatiana was a deaconess. He also admitted that most people are more cautious about this issue. “Many people believe that restoring the office of deaconesses may divide the Church, and therefore one should be attentive and avoid taking drastic steps on this issue. But I believe that, although we have not restored this office yet, women often do work associated with a deacon’s service in the Church. Only they don’t speak, but organize assistance to the sick and the poor, clean churches, care about everything that happens in churches, decorate them with flowers, keep the beauty of rites, etc.,” the priest said. He believes it is “absolutely okay” to discuss this issue and a decision on whether or not the office of deaconesses should be restored should be made by the church people. “In the Catholic Church, the institution of deacons is weak, deacons only serve with archbishops there, not with priests. In the Orthodox Church, the institution is more developed and there are more deacons. But it’s not necessarily service at the seat. The office of deaconesses, in my view, can be restored here as public church service,” the priest said. In May, Pope Francis announced plans to create a commission that will consider the possibility for women to become deaconesses, which is the lower stage in the church hierarchy. The office of female servants called deaconesses existed in the Christian Church in the period between the 1st and the 8th centuries. They fulfilled certain church duties, but did not participate in rituals.